J.S. PANCAKE CAFE is a pancake shop run by Japanese apparel brand JOURNAL STANDARD. They are teaming up with The Very Hungry Caterpillar to turn their cafés into the world of the internationally beloved picture book. The collaboration will begin at 11 branches of J.S. PANCAKE CAFE and 1 branch of J.S. FOODIES from mid-September this year and run for four months. J.S. 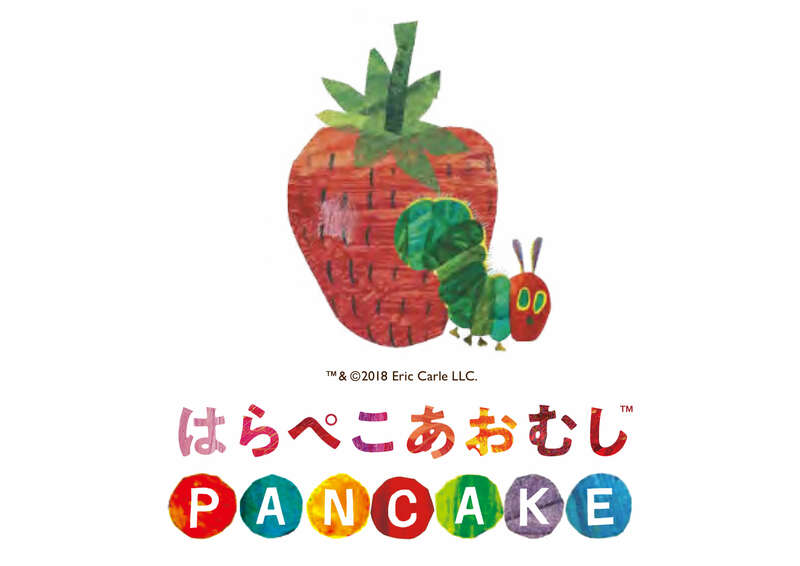 PANCAKE CAFE offers a diverse pancake menu, serving everything from sweet types to salty types and all made using delicious 100% wheat flour made in Japan. The café is enjoyed thoroughly by kids and adults alike. The four month duration the cafés will be open from September to December will reflect both the growth of the caterpillar as well as the story of the book. The first month, September, will represent the sun on the day that the caterpillar was born. In October, he will eat fruits and grow. In November he will enter his cocoon. Finally, in December, he will turn into a butterfly. All of this will be illustrated on the pancakes each month. All of the striking food that appears in the story will be also be put onto one plate to b e shared with friends and family. There will also be a parfait, drinks and more. all capturing the same world. The Nakano Central Park branch of J.S. PANCAKE CAFE will serve as the flagship store and be decorated in such a way that it will be like stepping into the picture book yourself. As well as the food, there will also be merchandise available as well as events held. If you’re a fan of The Very Hungry Caterpillar and want to relive your childhood, now’s the perfect opportunity!